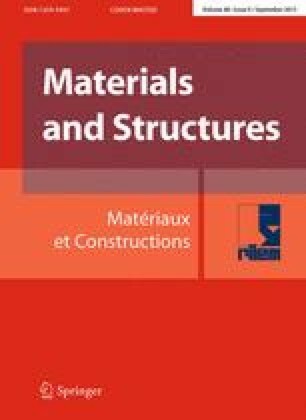 In this study, the influence of the addition of tire rubber in concrete was evaluated, to partially replace the fine aggregate of sand particles. The rubber fibers were also surface treated with different solvents to improve adhesion of the fibers to the concrete matrix. Compressive strength, slump test, Fourier Transform Infrared Spectroscopy of concrete samples were performed at time intervals of up to 28 days. The results showed a decrease on mechanical property values after the addition of tire rubber without treatment as well as a decrease of workability. It was also observed that the tire rubber treatment with acetone caused an increase of the mechanical strength of the samples. The authors thank CONACYT–CONAFOVI fund and the National Council on Science and Technology for funding for the project 102139 allowed the realization of this work. Special thanks to the Head of Foreign Language Department of the Papaloapan University, Cheryl Lynn Gad, for their support in the review of this paper.